Kroeze lost to 16-year-old contestant Chevel Shepherd of New Mexico. The finale aired live Tuesday. The season premiered in early October and just completed its 15th season. It features competitors who are coached by Adam Levine, Blake Shelton, Jennifer Hudson and Kelly Clarkson. Winners rely on votes from fans via NBC's website or social media platforms. The two-hour season finale Tuesday featured a soulful rendition of "Long Train Runnin" by Kroeze and the Doobie Brothers, a performance elevated by Kroeze's own guitar solo. Cheered on by an amped-up audience in Los Angeles, the 27-year-old found a lot of support online, too, with many fans backing up the singer on Twitter with #SmallTownStrong. Some shared photos of how they celebrated Chris Kroeze Day Monday, which saw fans donning long hair, fake beards and flannel in support of their top pick. Norm Yamada, a retired band teacher at Barron High School and long-time friend of Kroeze who has been following his performance, said Mondays and Tuesdays were devoted to watching Kroeze perform on national television. "A lot of people are kind of having withdrawals," he said. "What are we going to do on Mondays now?" 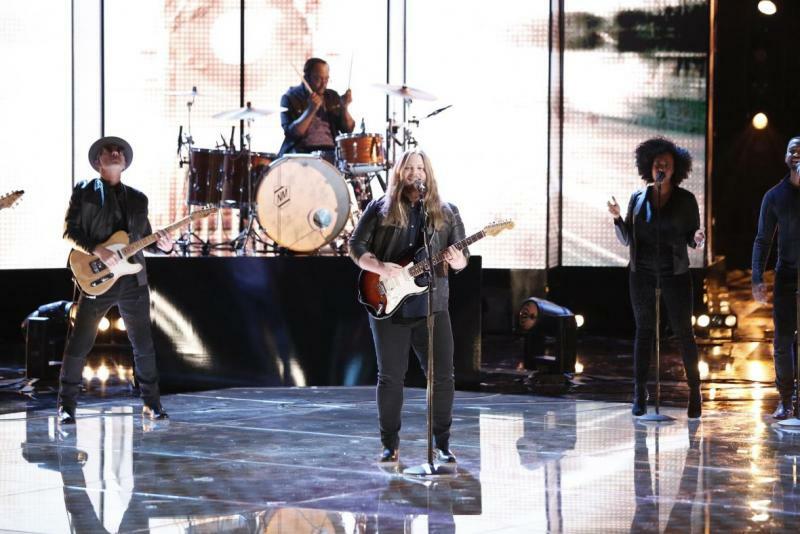 The two-night finale began Monday with Kroeze and the other final four competitors each singing a cover, a duet with their coach and an original piece. Under the guidance of coach Shelton, Kroeze said he's fine-tuned his performance style, learning how to better engage the audience. But when it comes to Shelton and Kroeze, a sort of brotherly love has emerged and fans have taken notice of the forehead kisses Shelton plants on Kroeze. Kroeze joked during the live performance Tuesday that he hadn't "ever been kissed more by one man," and made sure to mention his wife is better at it. After the show, Kroeze tweeted his thanks to the show, Shelton and his fans. Already a career musician performing more than 200 shows each year, Kroeze is adding to his repertoire with plans to sing alongside big country names such as Keith Urban and Toby Keith during next year's Country Jam in Eau Claire.